Grassroots Elsewhere in the U.S.
For years, young girls and women alike have seen their rights undermined by peers, employers, and the US government. Even now, in 2018, many of the policies that matter most to women and girls, ranging anywhere from health care and workforce equality to education, have been dismantled. In STEM fields, girls growing up don’t have as many female role models to look up as their male counterparts. Because of this discrepancy, young girls drop out of math and science courses early on in their educational careers (Ellis, Fosdick & Rasmussen, 2015). Being surrounded by young boys who make girls feel less empowered creates corrosive environments in the classroom. Girls need community with female role models and leaders to help them grow and encourage them to reach their full potential. Girls need to champion other girls, so they never hear, “you’re not good at math because you’re a girl”, “you run like a girl”, “only boys can do that”. Creating an organized sisterhood for young girls, will allow girls to know only what they CAN do rather than what they can’t. Girls in every community specifically feel they don’t belong in STEM fields. This is because of societal norms that have been drilled into what girls should and should not like and how they should be perceived at a young age (Wang and Degol, 2016). So, What’s on this website? 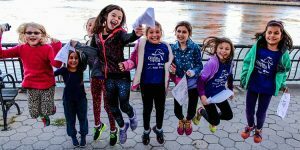 This website is dedicated to grassroots organizations, mainly in New York City, that provide girls with a female community focused on empowerment. 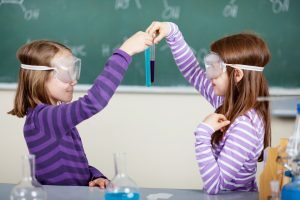 Originally, the main focus was on grassroots organizations that are working to close the STEM gap by providing girls a space to pursue their scientific discovery. However, because this issue is so prevalent, many of the original grassroots organizations have grown into national non-profits. Due to this expansion, this website now focuses on grassroots organizations that are dedicated to female empowerment for girls of all ages, by fostering an all girl environment. Some grassroots focus on giving young girls access to women role models in their fields of interest such as science, coding and authors. Others just create a safe space where girls can come together to create art, host panels to share perspectives, and teach life-long skills that will help girls further their careers in later years. The organizations discussed on this website under the “Grassroots Organizing” tab, focus primarily on women anywhere from 8-35 years old. The reason for this wide age range is to serve women of varying ages who need encouragement and empowerment. There is still much work to be done in society to encourage self esteem in women and girls. With a variety of neighborhoods, schools, and cultures, New York is the perfect city to study development in young girls. As a girl interested in STEM who grew up in New York City, I frequently found my own intelligence questioned by my male counterparts, especially in high school. If it wasn’t for my all girl’s education, I might have started to question myself too, assuming every answer a boy had was the correct one purely because of the confidence in which he carried himself. NYC is a place so big and so fast, it is easy to get lost, especially for a young girl who is unsure of herself in the first place. Each grassroots organization in New York City mentioned on this website has the same goal. 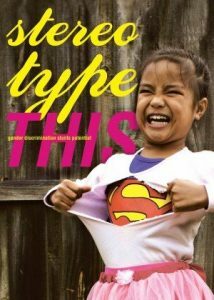 Even though each organization varies in their dedication to young girls, each and every mission holds the same goal: to empower girls in hopes of them understanding their immense worth and intelligence and to stand up for themselves.